The Mini4 is the result of a request for an ultra-compact can for 5.56mm rifles and carbines. The Mini4 features the same fully welded all-Inconel® guts as our M4-2000. With an overall weight of 13.5 ounces and adding less than 3 inches to the overall length of the host weapon, it is easy to disregard the Mini4 until the shooting starts. 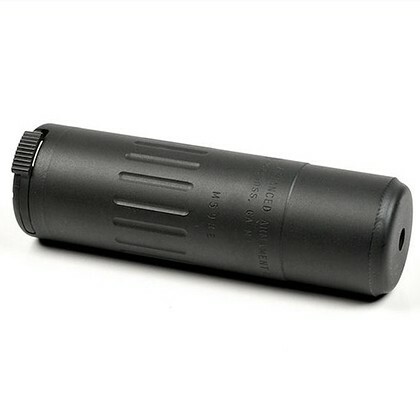 Despite its compact dimensions, the Mini4 reduces the muzzle signature below the 140 decibel threshold at the shooter’s ear on 14.5” and longer barrels and dramatically reduces visible flash.